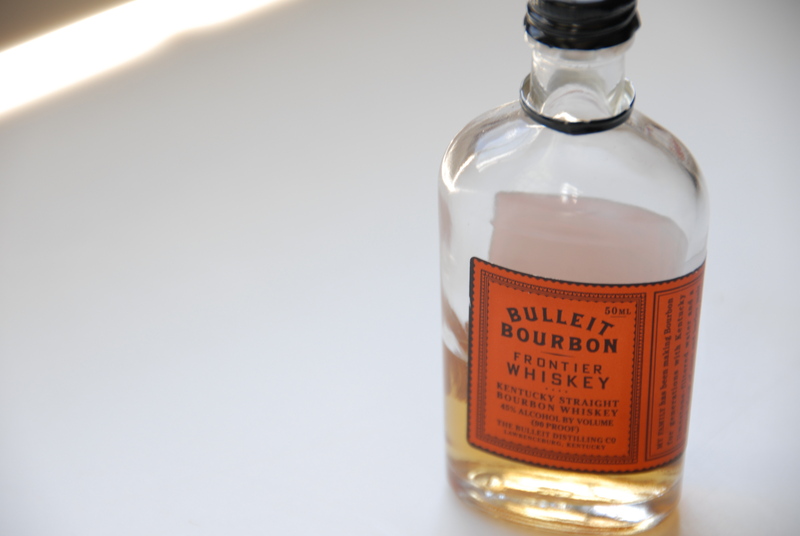 I like bourbon for so many reasons. It’s sweet. It’s American. It’s always been nicer to me than other liquors (ahem, tequila). 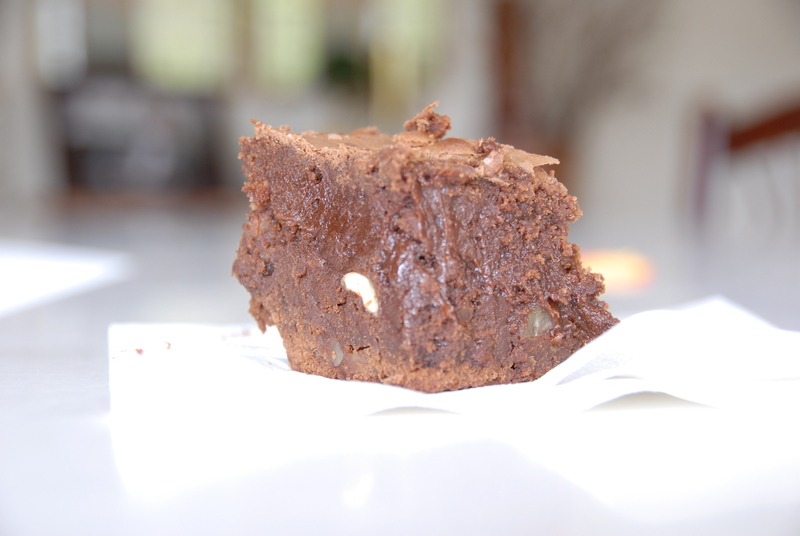 And wouldn’t you know, now I have a fourth reason – it plays well with others – namely, bacon and chocolate. 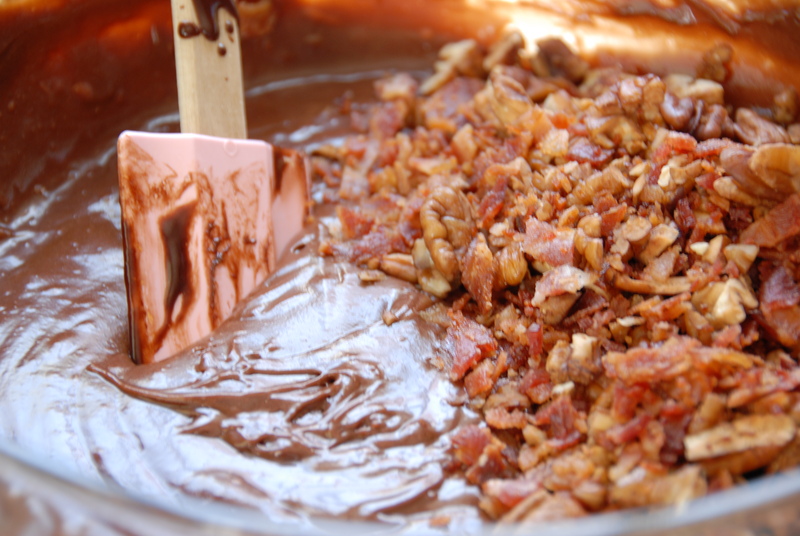 Much like bourbon I have a fondness for bacon, and chocolate. But when I first started reading over this recipe (entitled legal vice brownies, found on slashfood) I thought to myself “maybe this whole bacon thing has gone too far”. At that moment I knew what I had to do – try them. Would the bourbon and bacon really improve this already tasty treat? Cook the bacon until it is very crisp, drain off the grease and set aside. 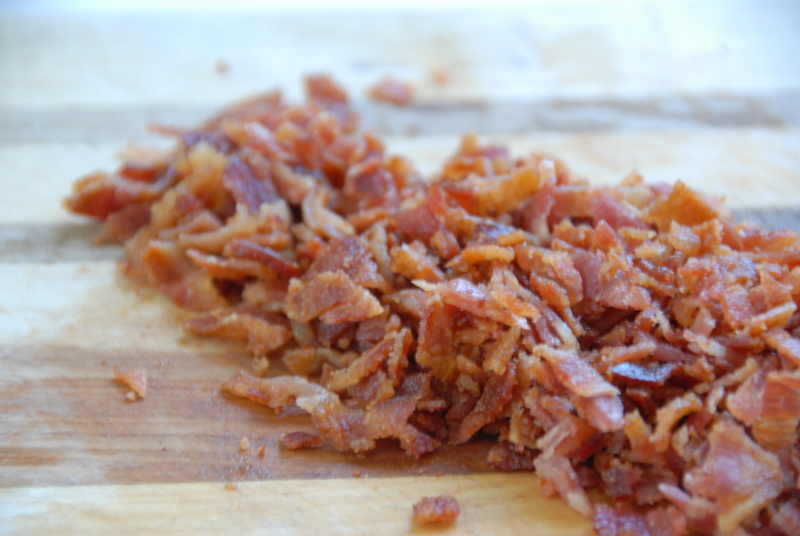 Pat the bacon dry with paper towels and crumble into tiny pieces. In a double boiler, over simmering water, combine the butter and chocolate. When the mixture is nearly melted, remove it from the heat and stir together until blended. Set aside and let it come down to room temperature. Once the chocolate mixture is cool, add the granulated sugar, brown sugar, several grinds of black pepper, salt, eggs and reserved bourbon and whisk well to combine. Add the cocoa powder and stir until thoroughly incorporated. 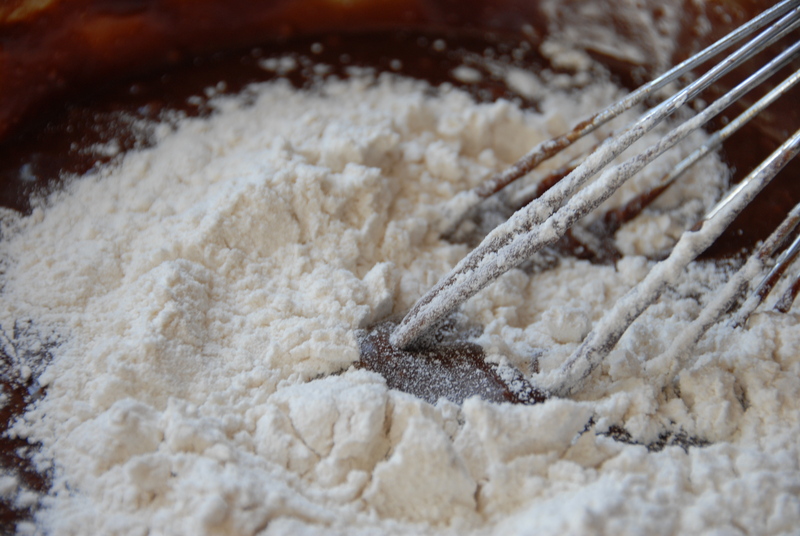 Then stir in the flour 1/2 cup at a time, making sure it is thoroughly incorporated before adding the next portion. 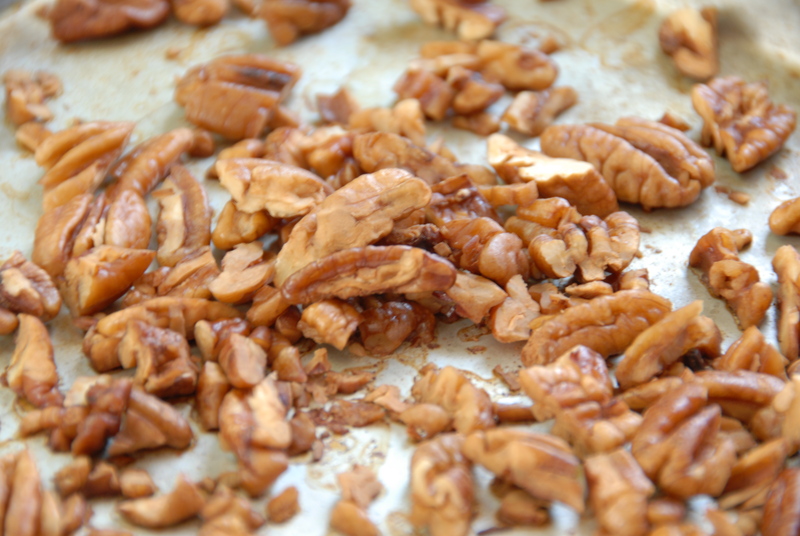 Stir in the bacon and pecans. 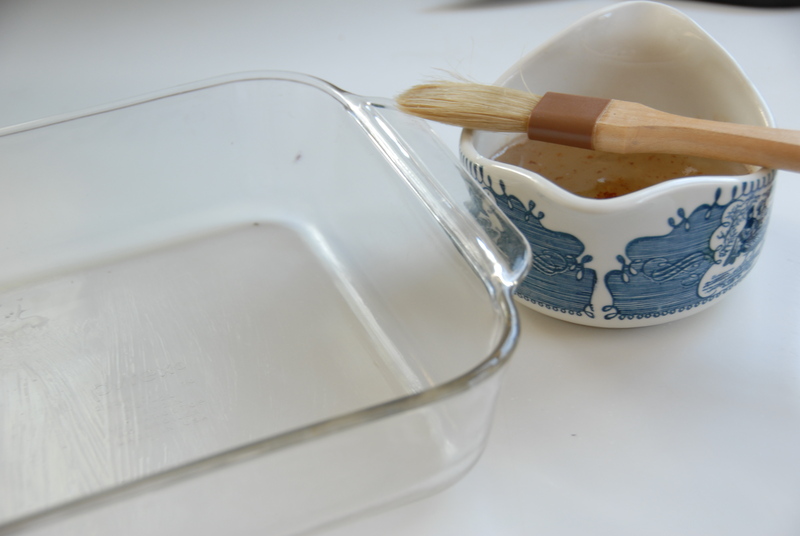 Yeaaa… below is our container of reserved bacon fat that I’m about to use to coat an 8×8 pan. Pour in batter and bake for 30-35 minutes, or until a toothpick inserted near the edge comes out dry, but inserted near the center, comes out lightly coated in batter. food lover. loud laugher. wine-o. This entry was posted in Bourbon and tagged bacon, bourbon, brownies, chocolate, pecans, slashfood. Bookmark the permalink. LOVE the fact that the back-up bacon grease is so daintily ensconced in the pretty china piece!